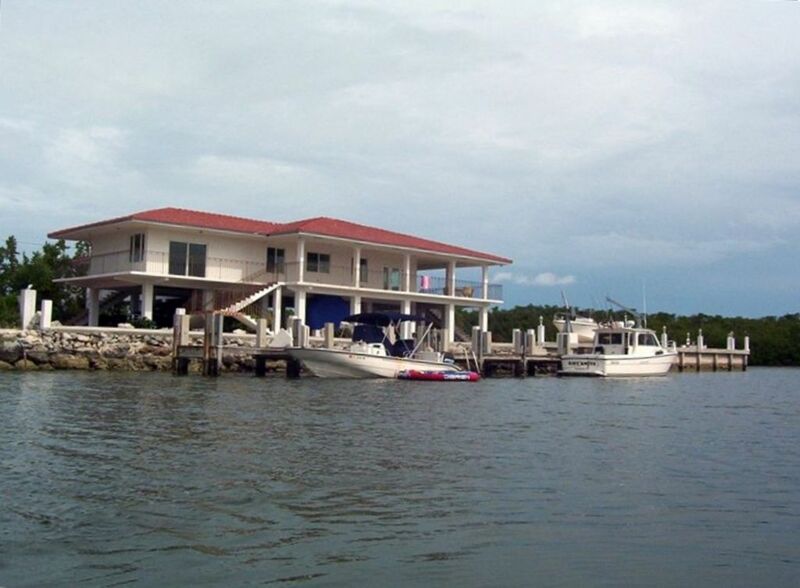 Unusually large home in Coco Plum Beach. Four bedrooms, four baths and large covered balconies. Surrounded by water on two sides, this is a very tranquil setting. Deep water dockage with quick ocean access. Fish cleaning table, bait freezer. Bring your kayaks or rent them in town, this is a great spot for kayaking. Formal dining room, tile floors thru-out, covered parking and gas grill. Close to restaurants and shops, yet secluded. Surrounded by water on two sides. Very Tranquil Setting. Please note: The Availability Calendars are typically not active. Please call or email for availability, more photo’s, information and a visual tour. Rates are subject to change until the reservation is confirmed. All in all, a fantastic trip with no regrets and a big thank you to the owner for offering this splendid home. Thanks for bringing out all the pluses that we soemtimes don't think of! the home is basic, however it still has so much to offer.